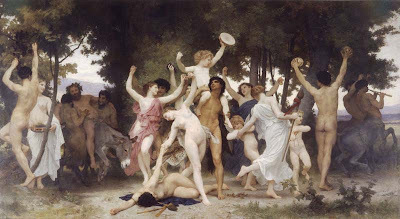 Adolphe William Bouguereau became the epitamy of what was wrong with academic art in the late 19 and early 20th centuries. Villified by the more progressive movements in art, his work has been trivialized for 100 years now. These atitudes are slowly changing and Bouguereau seems to have had the last laugh. His work has continually risen in popularity. He was a successful artist and an important and influential teacher in Paris in the 19th century. 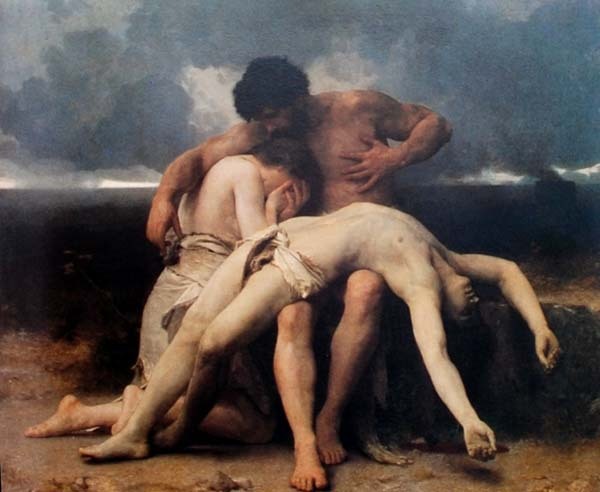 With a resurgence in respect for quality in drawing, painting and beauty, Bouguereau’s impact on art and his work has a chance to be placed in correct perpective within art history. Paint as you see and be accurate in your drawing: the whole secret of your art is there. If you want to draw and model effectively you have to see all of the details as well as the whole at the same time. One of the tricks for getting the overall feeling of a painting is to blink your eyes while looking at the model. One is born an artist. The artist is a man endowed with a special nature, with a particular feeling for seeing form and color spontaneously, as a whole, in perfect harmony. If one lacks that feeling, one is not an artist and will never become an artist; and it is a waste of time to entertain the possibility. The craft is acquired through study, observation and practice; it can improve by ceaseless work but the instinct for art is innate. First one has to love nature with all ones heart and soul, and be able to study and admire it for hours on end. Everything is in nature. A plant, a leaf, a blade of grass, should be the subjects of infinite and fruitful meditations; for the artist, a cloud floating in the sky has form, and the form affords him joy, helps him think. Before starting work, steep yourself in your subject; if you don’t fully understand it, seek further or turn to something else. Remember that everything must be thought out beforehand, everything, down to the last details. As soon as a painting is completed, I know that in this or that portfolio I’ll find such and such a sketch, and straight away I go to a new canvas. I never ask myself, “Let’s see, what can I do now?” I have my work all cut out for me. Not to mention the many works that will go unfinished for want of the ideal model. Think about the drawing, the color the composition- when you work you must consider all these things equally. You leave unpainted what you cannot see; it is ignorance that makes you blind; it is inattention that makes you ignorant; inattention is imbecile. I understood that the subtlety of accents, in contrast with large planes, is what makes drawing great. This truth, which I have yearned all my life to express and which still drives me on, is the secret of art. It applies to composition as well as to drawing proper. It is the principle that must guide both the young beginner and the fully developed artist. This guy is such an elitist tool. Any reasonable human being can become an artist if they study and work hard. And I don't see the "elevated interpretation of nature" in his painting since most of his work can be superseded by a photograph. Sure his love of life, proportion, colour, form and composition is admirable, but it's no excuse for limiting the scope of painting to such a sterile imitation of reality. 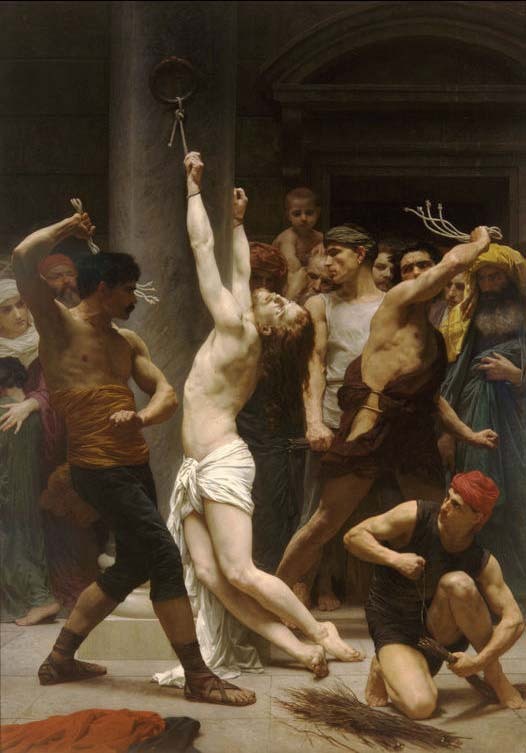 It is interesting when reading about Bouguereau how he struggled with drawing and painting in the beginning of his studies. He obviously overcame the challenges and became one of the most successful academic painters of the 19th century. We all draw the line at what is art for ourselves. I find his abilty uplifting even though his subject matter can be shallow at times, all of it is better than the modern ideas of art that have no facility at their core. Thanks for the post, Armand. Bouguereau deserves more attention. He might come across as an elitist because he believes in the power of art. I very much believe in innate talent, but that doesn't guarantee excellence in the craft. It still takes work, day in and day out, work work work. @Anton, the skills of accurate drawing and painting can be learned and taught, but becoming an artist cannot be taught. One must be born with the talent. And talent might just be another name for the love of something. I agree, hopefully the new monograph, if it ever comes out, will help his stature in the art world. Making art with a capital A is a tricky business. I don't think it is ever up to the artist themselves. Powerful Post! Nothing more needs to be said, this is it! I REALLY ENJOYED EVERYTHING AND WOULD REFER TO THESE IN FUTURE! Thank you for this post. It's always interesting to get into the mind of a great artist. This man is such an inspiration, he shows what the individual is capable of. The disdain with which his work was later treated leads one to wonder if it wasn't jealousy on the part of modernist artists and the critics that they would try to erase him from art history. Yes but wouldn't you have to have a passion for art to excel at it? Can you be a competent artist just by working hard at it with no love or passion for art? I'm reminded of having read that at one time Degas was asked, "Who would posterity think the greatest artist of this time?" His answer was Bouguereau. It is interesting how we worship whatever is avant-garde, but 115 years ago Degas looked up to whatever to the artist who seems to do it best the traditional way. The 20th century critics only look at what is pushing art forward as good.